It’s been nearly four months since the last Epic Rap Battles of History episode, and if you’re jonesing for a fix, that show’s co-creator has a new web series out that just might be the next best thing. 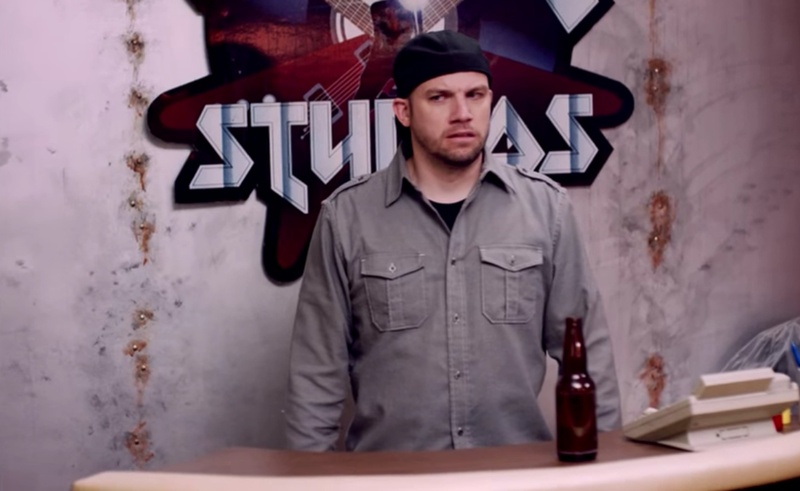 Lloyd Ahlquist, known online as EpicLLOYD, has shared the first four episodes of Epic Studios on his personal YouTube channel. Epic Studios stars Ahlquist as a man who inherits a dilapidated studio from his deceased rock star father. Upon arriving in Toronto to check out the facility, Ahlquist finds he’ll have a lot of work to do if he wants to bring Epic Studios to a respectable place. Each episode of his saga is accompanied by its own musical number, with frequent ERB collaborator Zach Sherwin contributing to the songwriting team. In the premiere, for example, Ahlquist laments not googling Epic Studios before agreeing to take it over. The list of companies that contributed to Epic Studios includes iThentic, Farmhouse Productions, Duopoly, and Ahlquist’s partner network, Maker Studios. All of these hands have been working together on this project since at least 2015, when a trailer for it popped up online. Now that it’s finally here, Ahlquist’s fans can rejoice that one of YouTube’s funniest musical comedians is back in business. Additional Epic Studios episodes will be released over the next three weeks.